I am Distinguished Professor of Environmental History at Michigan Technological University. 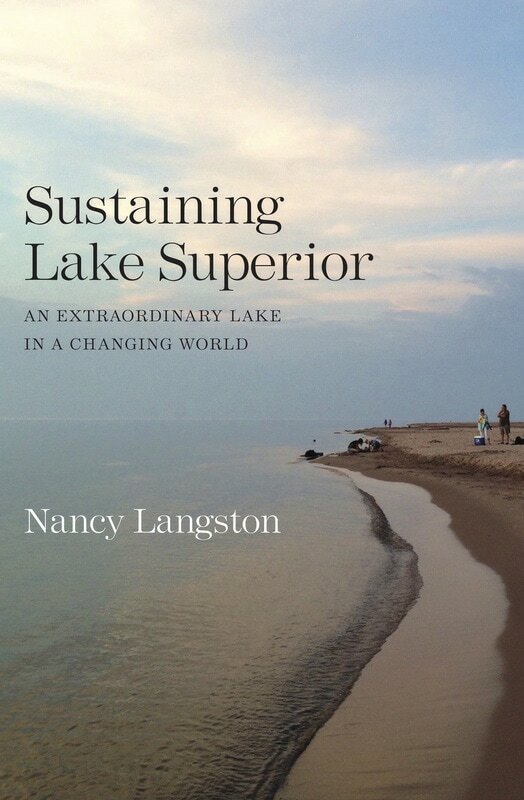 My most recent book, Sustaining Lake Superior (Yale University Press, Fall 2017), examines climate change and toxics in the Lake Superior basin. My next project explores climate change and animal migrations, focused on the upper Great Lakes. How has climate change affected the movements of three iconic species of the northern forest: woodland caribou, Great Lakes sturgeon, and loons? These species were once abundant in the Great Lakes region, but habitat change, toxics, and over-hunting decimated their populations by the early 20th century. Conservation efforts recovered breeding populations of loons and sturgeon, but woodland caribou are now ghost species throughout much of their former range. On a few islands along the north coast of Lake Superior, populations persist, but predators threaten them--and predator populations are driven by complex relationships between forest industrialization, energy development, moose populations, and climate change. How have the relationships between humans and these other species been influenced by climate change? How do animal migrations influence the mobilizations of toxics into distant spaces, and how does climate change in turn affect toxic mobility? Can restoring these species help in the fight against climate change? I am currently preparing a series of lectures on these topics for the 2019 Mandel Lectures in the Humanities at Brandeis University in Spring 2019, which will be revised into a book to be published by University Press of New England. An environmental history of Malheur Wildlife Refuge titled Where Land and Water Meet: A Western Landscape Transformed (University of Washington Press, 2003). Where Land and Water Meet focuses on dilemmas over riparian management in the West and offers pragmatic solutions to the conflicts that have paralyzed land management. A history of the old growth crisis in the west titled Forest Dreams, Forest Nightmares: The Paradox of Old Growth in the Inland West (UWP 1995). Forest Dreams examines the causes of the forest health crisis on western national forests. It won the 1997 Forest History Society book prize for best book in forest and conservation history published in the preceding two years. A history of endocrine disruptors titled Toxic Bodies: Hormone Disruptors and the Legacy of DES, (Yale University Press 2010). Toxic Bodies examines the history of synthetic chemicals that disrupt hormones and the struggle for a precautionary principle to protect human and environmental health. Since July 2013, I have been a professor at Michigan Technological University, part of the Great Lakes Research Center and the Department of Social Sciences. During 2012-2013, I was the King Carl XVI Gustaf Professor of Environmental Science at Umeå University in Sweden. Before that, I was a professor at the University of Wisconsin-Madison for 17 years, with appointments in the Nelson Institute for Environmental Studies and the Department of Forest and Wildlife Ecology.